I got my hair chopped off and came out to my friends. My friends are all incredibly supportive and wonderful, and I couldn't be more thankful for that. Congratulations Van - what a great feeling isn't it! Since the last time I posted in this thread, at my job I've come out to my entire extended work team, the Admin Director, and the HR Administrator. At my request the mandatory department wide staff meeting at the end of August will include a 1.5 hour Transgender 101 from one of the founders of the Transgender Resource Center of NM. 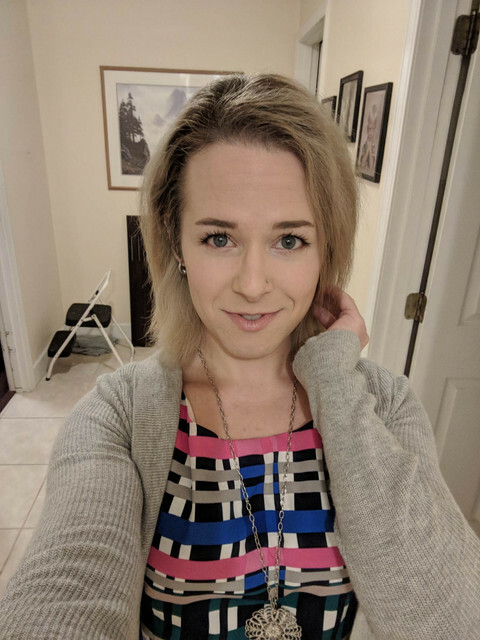 There's been a lot more electrolysis since my last post, and it feels like I'm in the homestretch with that. I've purged the bulk of old male clothing from my closet and donated it, and I'm finally thinking of myself as more & more female. I've left my house dressed as I like, both with friends and alone, several times in the past couple of weeks. I've started getting more focused on building a work wardrobe for when I go full-time in a couple of months. Found an inexpensive foundation shade that I believe matches my natural skintone. My joy over that cannot be overstated! I decided that I cannot abide a full wig for long-term wear and then met with a local wigmaker from whom I've ordered my first custom topper. It should be ready in a couple of months. I'm still not quite sure how I'm going to pay it off when it's ready, but I did put a full deposit down on it. I've had a couple of unexpected "male fails" with shop clerks in recent weeks. I see my primary care doctor tomorrow and will ask about when I can schedule my orchie. I'll also talk with her about the letter I need to start the process of changing the gender marker on my birth certificate. I've researched next steps for changing my name. Oh, and I finally settled on the name I'll be using once I go full-time. So far in 2018 I got my three letters for gcs, found a great supportive pcp who actually understands hormones and just six days ago had gcs. Pretty good so far, but I still need to legally change my birth certificate since I was born in a state that requires a physicians letter to update it, with any luck I will manage it before the end of the year. Got a NEW ID!!!!!!!!!!!!!!!!!!!!!!!!!!!!!!!!!!!!!!!!!!!!! FINALLY!!!!!!!!!!!!!!!!!!!!!!!!!!!!!!!!! = was able to immediately sort out some bank stuff ! 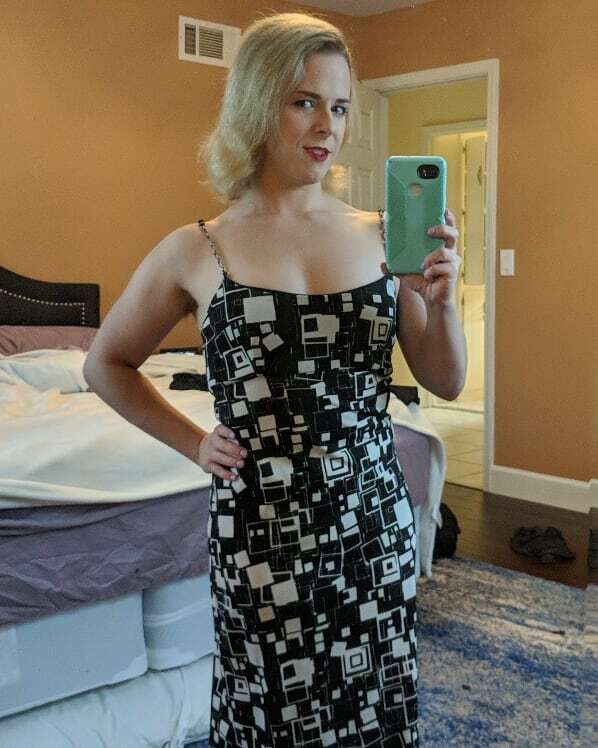 Found my inherent connection to womanhood instead of feeling like I'm "putting her on"
Became a blonde, which I LOVE and where I'll stay...and my hair has reached shoulder length! I've been letting go of habits, behaviors and defense mechanisms that I had previously thought were just "how I am." Learning to communicate genuinely, stop holding my feelings and thoughts against myself, and actually love me as I am. My partner and I are celebrating our first anniversary in NYC in two weeks!! - GOD I love us! 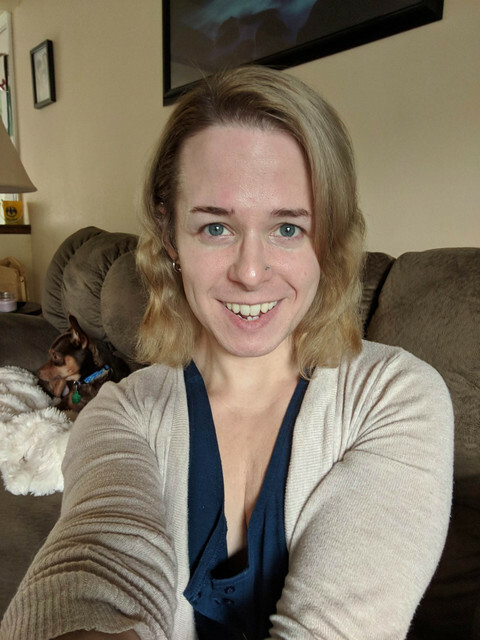 Reached 1 year on HRT! Another big thing has been my perception of my body since top surgery. I still don't love everything about my body (love handles, desire for more facial hair) but after top surgery I finally feel like I'm in the right body. And I love every second of it. Really realizing, that I am much grumpier, easier to 'anger' or at least easier to get upset while my T is in the normal Male range and that I am significantly much happier / have a better disposition while my T is down and my Estrogen levels are in the normal female range. Must talk to my therapist about this development this week. I need back on my E!!!! The state I was born in (Florida) had always refused to change anyone's birth certificate for any reason. They have recently changed the law and/or policy. Today, some twenty nine years after I had my name legally changed, I got my birth certificate in the mail. It has my name on it and my correct gender. A giant step made this year. I finally started HRT! I applied my first patch today. 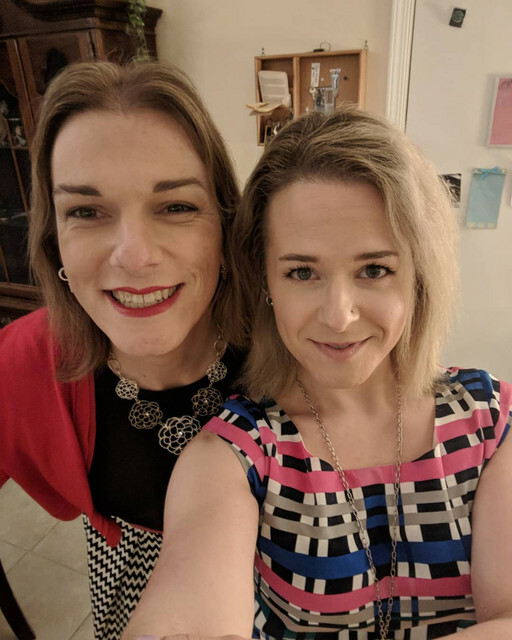 Even though I have been living in my new small town and running my business as a full-time woman when I relocated here in December 2016, it was only about 6 months ago in March 2018 that I came out and revealed my secret to my friends, business clients and my several romantic interests... and essentially to my entire small town. It was like a big heavy weight was lifted off of my shoulders allowing me to live more freely and be more open with all of those that I come across. I have had overwhelming acceptance with only a couple of bad encounters, and when those bad encounters happened all of my friends came to my rescue and set the very few perpetrators straight and told them off. I have also become more comfortable in the dating scene with both men and women of interest. Very exciting and sometime frightening as well... all new territory for me. Even though I have been living in my new small town and running my business as a full-time woman when I relocated here in December 2016, it was only about 6 months ago in March 2018 that I came out ... to my entire small town. It was like a big heavy weight was lifted off of my shoulders allowing me to live more freely and be more open with all of those that I come across. This is such an interesting idea, Danielle. In my head, I have told myself that if I totally passed, I wouldn't tell anyone. I kept the real me well-hidden for a very long time. I was pretty sure I could keep the fake me hidden forever. But you felt a weight was lifted when you shared the secret. Erin 2.0 Got my hair colored. At first when I was a child and adolescent I didn't know I was transgender. But I did knew that my behavior, expression and interest where normal feelings to me, I didn't think gender was involved. I was myself. But society told me I wasn't supposed to behave, act and feel that way. Then came a long life of living in the unknown, uncertainty and not to happy with myself. Until finally I realized it and found the answer to myself. I came out to the world in 2 months time: I am female. I am a transwoman. Then I started transitioning. I wanted that woman inside of me to come to the outside. I was constantly thinking... Female... Woman... Transwoman... I need to get out of this male body. I did. I really think I did do that... I'm amazed how beautiful the woman that was inside of me is now outside and can freely express herself. I am back at the time of being a child and adolescent again. In my feelings I don't see a gender, I see myself the way I am meant to be. And I'm one amazing beautiful transwoman, or as I like to say: woman of trans experience. I was AMAB on May 6 1963 in Dordrecht, the Netherlands. You two sure do make for a lovely couple. I wish you lots of happiness. Page created in 0.266 seconds with 64 queries.